Posted on 10, September 2018 by EuropaWire PR Editors | This entry was posted in Automotive, Electronics & Machinery, Germany, Internet & Online, Technology, Telecom and tagged 5G, automotive, Bosch, connected mobility, connectivity, INNOVATION, Internet of Things, IoT, Jens Fabrowsky, MEMS, Micro-Electro-Mechanical Systems, Rajesh Vashist, SiTime, timing. Bookmark the permalink. SANTA CLARA, CA, USA, 10-Sep-2018 — /EuropaWire/ — SiTime Corporation, a leading provider of MEMS timing, and Bosch, a global supplier of technology and services, announced a strategic technology partnership to accelerate innovation in micro-electro-mechanical systems (MEMS) timing. 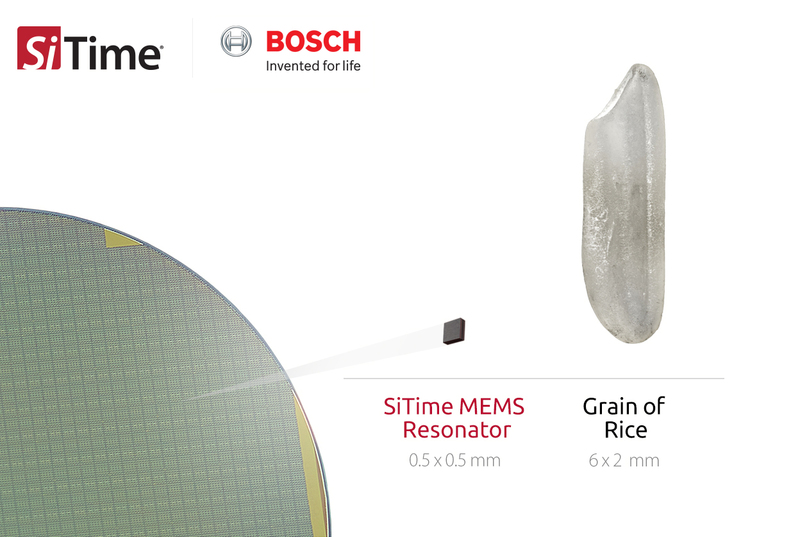 SiTime will work with Bosch to develop processes for next-generation MEMS resonator products. These MEMS resonators are the heartbeat of 5G, IoT and automotive electronics, and will enable the higher speeds of 5G, long battery life of IoT devices and increased reliability of driver assistance systems in automotive. Bosch will utilize its expertise in MEMS manufacturing to produce these resonators for SiTime and ensure availability of high-volume capacity.